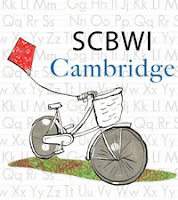 One of the best things I did when I first got into the world of making stuff up and writing it down was to join SCBWI - the Society of Children's Book Writers and Illustrators. They offer so much support for aspiring and published writers and illustrators, and it's been rewarding and fun to attend their conferences, workshops and talks - not to mention meeting lots of lovely people along the way. Most recent was a Saturday Social in Norwich, organised by Joyce Taylor, our wonderful and dedicated Central East Co-ordinator. I haven't laughed so much while learning so much at the same time in ages! A workshop on voice and engaging writing with the lovely Gemma Taylor from the Bright Agency was followed by a critique swap with the super- talented writer Lisa Mann - in which we swapped the first chapters of our rewrite-in-progress Teenage-Girl-Takes-On-The-World novels and discovered that our girls had a lot in common - so much so that we're going to continue our critique swaps on-line. 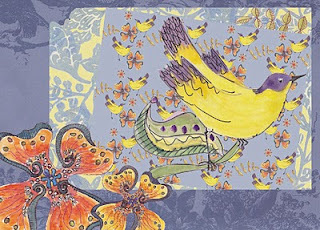 Lisa was one of the winners of the 2010 Undiscovered Voices Anthology competition (another SCBWI feature!) for her fabulously titled book, Slugs in The Toilet. Why this book is not in the shops yet I do not know! After refuelling with tea, sandwiches and flapjack, Lisa and I then teamed up with the brilliant artist and illustrator Annie Brundrit to try to put together words for a picture book, based around some lovely illustrations Annie's been working on. I won't give any more away now, but watch this space! It was lovely to meet new friends and catch up with some old ones. Thank you, Joyce, for putting together such a great day! And this evening I'll be meeting up with another group of SCBWI friends in Cambridge. We try to get together for a drink and a catch-up every month or so, but because it's organised by a very disorganised person (me!) the schedule doesn't exactly run with military precision. But when we do get together there's always plenty of news to share and stories to tell. And we even have our own lovely logo, designed by the brilliant illustrator, Louise Grant (aka Fuzz) before she left Cambridge for San Francisco - a long way to go just to get out of helping organise the meetings!